Maybe you’ve heard: your desk chair is killing you. Here are the basic ergonomics. Sitting in the standard desk chair for hours on end collapses the lumbar (lower) spine and causes the rest of your spine to curl into a sickly “C” shaped slouch that can cause chronic back problems and waning focus at work. This fact helped propel the standing desk phenomenon that swept technology companies in particular off their feet a few short years ago. Until people realized that standing for eight hours a day was hard and opted to sit back down (this writer included). In its place, the workforce is exploring sedentary alternatives—including taking up residence on their office’s couches or conference room chairs. Here are three representing the spectrum of affordability and advancement. The Coke bottle of office chairs. 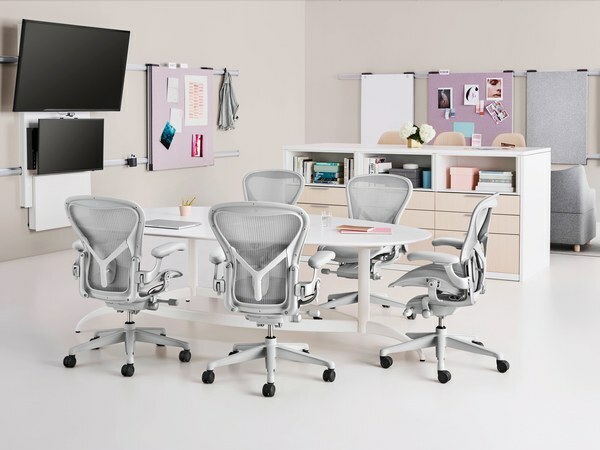 Aeron, by Herman Miller, is reportedly corporate America’s best-selling chair and claims to be as ergonomically sound an offering on the market. In production since 1994, the iconic chair underwent a redesign this year to add an enhanced tilt feature and upgrade its pellicle. You can buy an Aeron in the vicinity of $500-$600. Movement is the name of the game for the CoreChair. Swiveling. Leaning. Scooting. 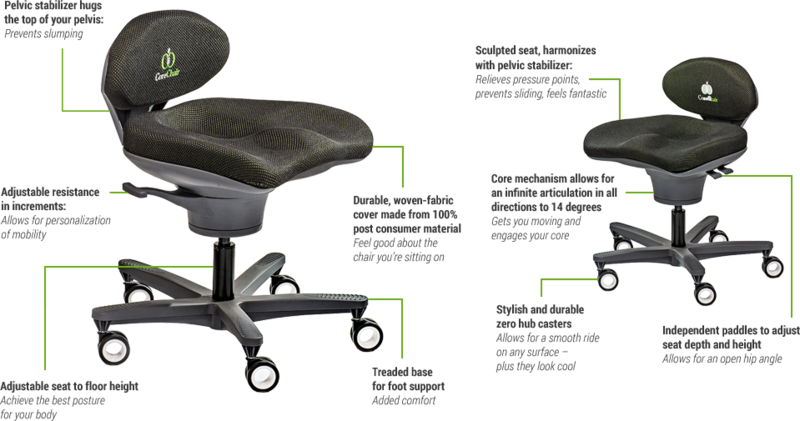 We perform hundreds of these microvements every day, and CoreChair claims to support such movements in ways a more standard chair doesn’t. It doesn’t look like most office chairs, but it doesn’t function like most of them either. CoreChair is currently selling for $805.50. At the more advanced end of the spectrum is the Altwork Station, a high-end concept that bundles a chair and desk into a fully adaptive console. Recline. Use it as a standing desk. Use it as a standard sitting desk. Take video calls upside down. 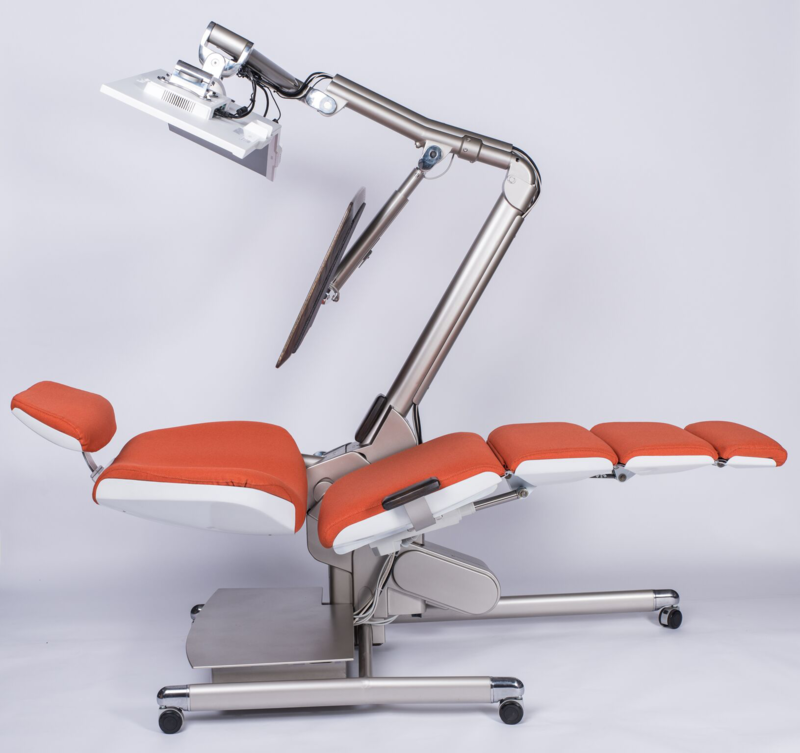 The Altwork Station is designed to make every work task ergonomically sound and breathless comfortable. At a hefty $5,900 price tag, the Altwork Station represents a significant investment in the way intended users work.